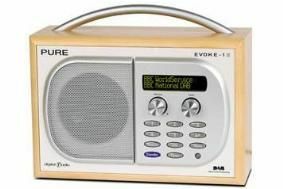 ASA bans digital radio ad for claiming interference on DAB is not an issue | What Hi-Fi? The radio campaign, by the Digital Radio Development Bureau, had a voiceover that was intermittently interrupted with interference. The voiceover said that interference was an issue when listening to "conventional analogue" radio. "But with a DAB radio you can enjoy crisp, clear digital sound," said the ad. The ASA received a complaint that the ad was misleading because if the digital radio signal was poor, then the broadcast would also be interrupted on DAB. Owners of DAB radios will be familiar with the "squelching" sound that occurs on digital broadcasts when the signal drops out. It can be particularly prevalent in cars when on the move, and we frequently experience DAB signal drop-out in south-west London where our offices are based. The ASA said it banned the ad because it was not true that listeners might never experience any interruption to a DAB signal.